In need of some cosmetic updating but offering great potential. Outline Planning for Single Dwelling, Close to Cannock Chase. Are you looking for land for sale in Staffordshire or even a renovation or conversion opportunity? Plotfinder.net holds a database of building plots in Scotland, England, Northern Ireland and Wales. Above you'll find links to the latest properties for sale in the Staffordshire area. 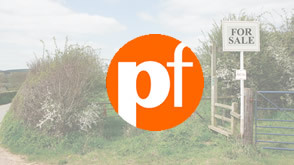 You may also be interested in looking for land for sale in the counties surrounding Staffordshire such as; West Cheshire, East Cheshire, Derbyshire or Warwickshire. Use the search box above to refine or change your search criteria. Property listed includes; building plots, renovation and conversion opportunities, lots sold by auction and property for sale by private sellers. A Bungalow Transformed: Kevin Gallagher has transformed a dated ‘70s bungalow into a charming new home — for just £38,000.